The story of Jacques-Yves Cousteau (Wilson), the sub-aquatic explorer and documentary maker. He is an egoist and womaniser, who ignores his wife (Tautou) and two sons, and is more showman than scientist. His younger son, Philippe (Niney), grows up to become a dedicated ecologist and starts to challenge his father’s methods. 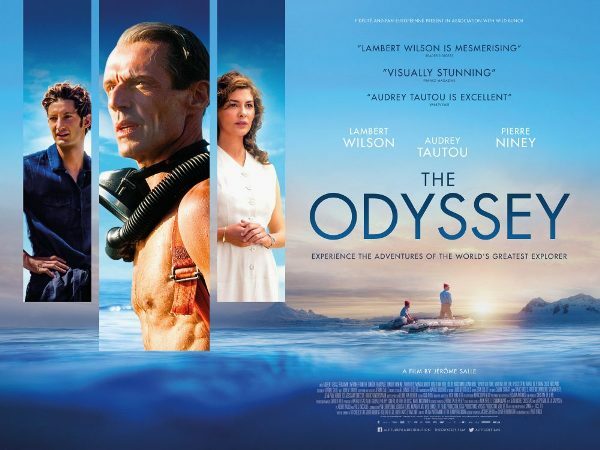 Beautifully photographed, with breath-taking underwater sequences, it features a splendid score from Alexandre Desplat and fine performances from the three leads.